As my life in Thailand unfolded, my understanding of my friend’s saying deepened and I applied it elsewhere. Harmless lizards were not to be worried about, whether a literal lizard or not. For each moment of discomfort or uncertainty, there were a hundred more cherished moments that taught me to love living in the moment and to not sweat the small stuff. “It’s a lizard, not a gecko” became my mantra. It was a reminder to relax, to let go of what was unchangeable and to realize the insignificance of minor inconveniences. Waiting — for transportation, for food, or for someone -became a time to enjoy quiet moments rather than minutes of impatience. Miscommunication, when my Thai or English failed to communicate what I meant, was a chance to try harder and enjoy a challenge. 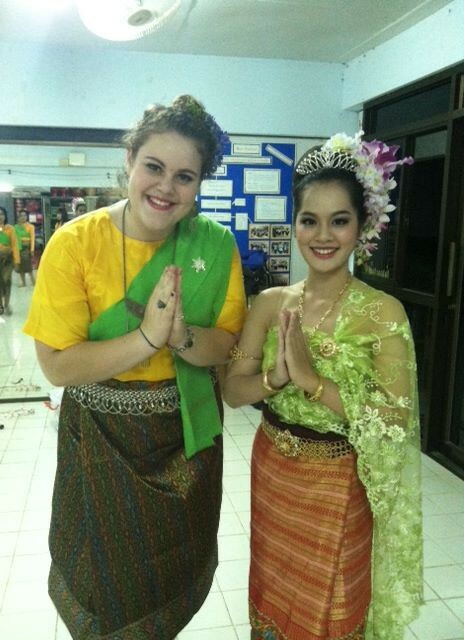 This ideology enabled me to immerse myself in learning the spoken and cultural language of Thailand. 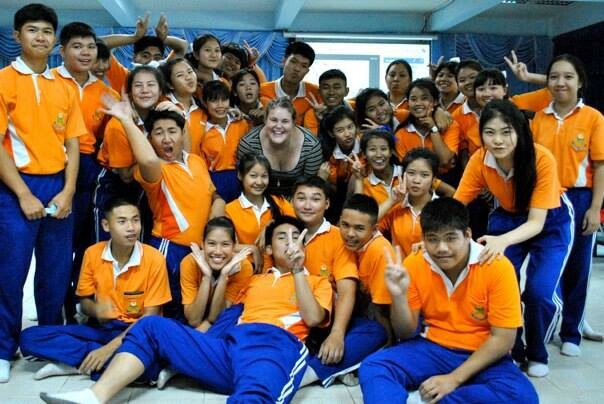 A fellow teacher taught me the Thai cultural value of laughter when anything goes wrong. When dogs chased us, or the printer broke, or there were bugs, we would laugh together. It was my friendships with Thai locals that saved me in moments of travel fatigue. These friendships expanded my heart and mind, and encouraged me to let go of minimal concerns: my lizards. When my house flooded mid-year, I easily laughed it off, whereas back home it would have caused me great stress. When classes were inexplicably canceled without notice, my response mirrored that of other unaffected teachers. The ease and jovial nature with which my Thai friends brushed off small problems altered my own perspective. My grandmother passed away while I was thousands of miles away. I was devastated. My community in Thailand told me not to worry, not to be sad. At first I was distressed by our differences in handling grief, but within a few days, celebrating her life, Thai-style, seemed more comforting than withdrawing into my room to grieve alone. My grandmother’s passing was my gecko; it was not a small inconvenience, but one with great pain. Yet, as I had learned to let go of little things, I then had more energy for tougher problems. By the end of my year, Freddy, Wilma, and George were my silent lizard roommates, scurrying up walls, and keeping me company. With time, even the gecko’s harsh tapping against my window seemed gentler, the threat of his bite less terrifying. Travel can open your mind. My year in Thailand showed me the importance of practicing relativity with minor nuisances, a lesson that has been life-changing as I have applied it to my daily living back in the United States.